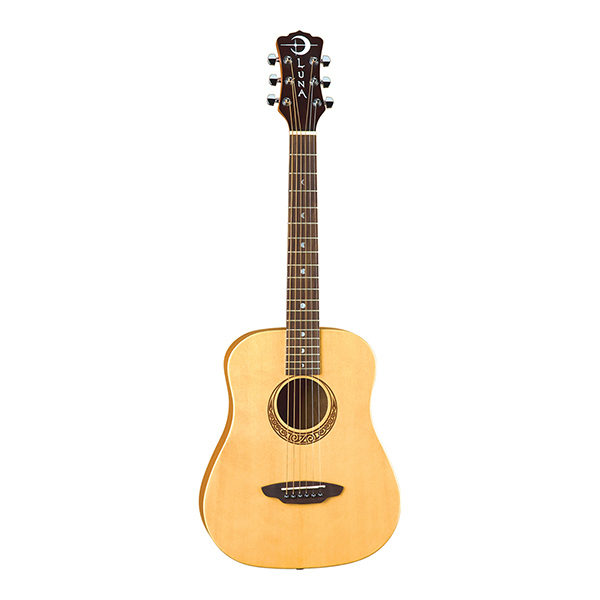 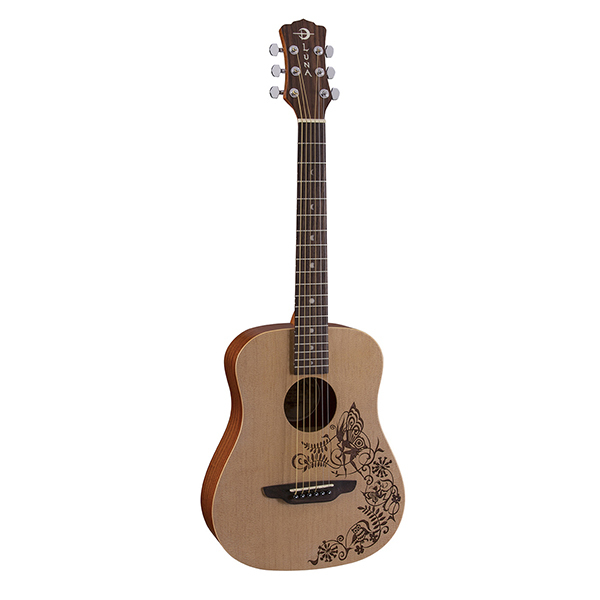 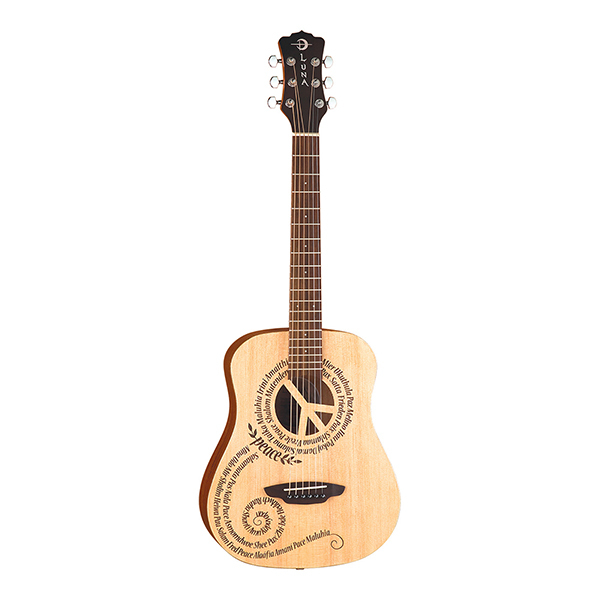 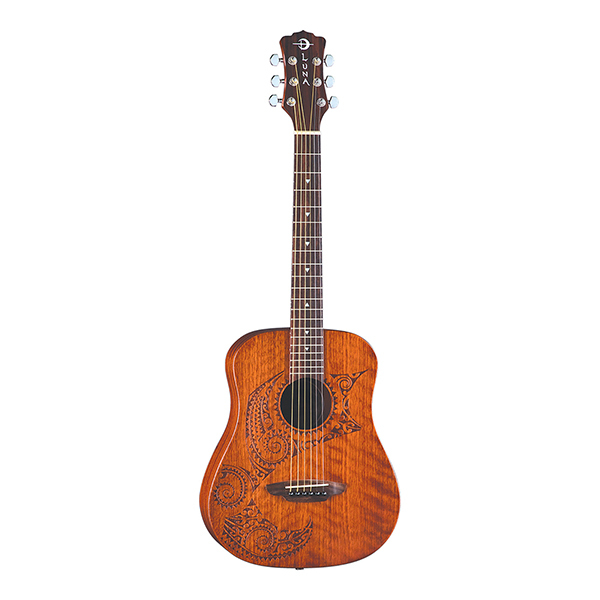 Our Safari Bamboo guitar is a 3/4 dreadnought travel acoustic featuring a bamboo top, back, and sides, as well as a bamboo leaf laser etching around the soundhole. 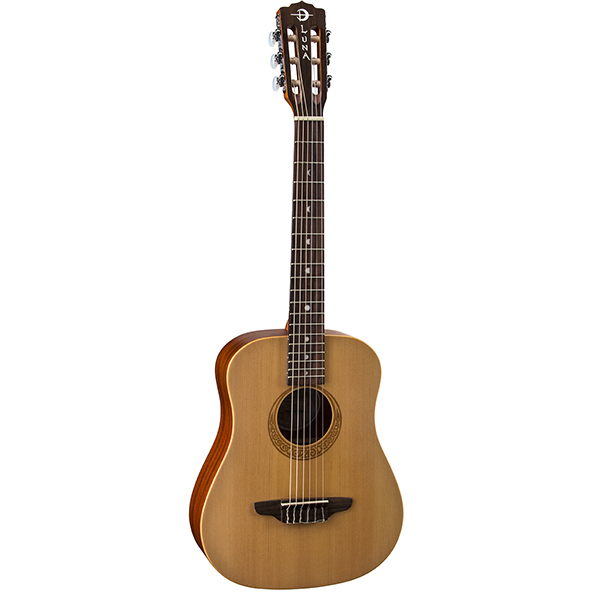 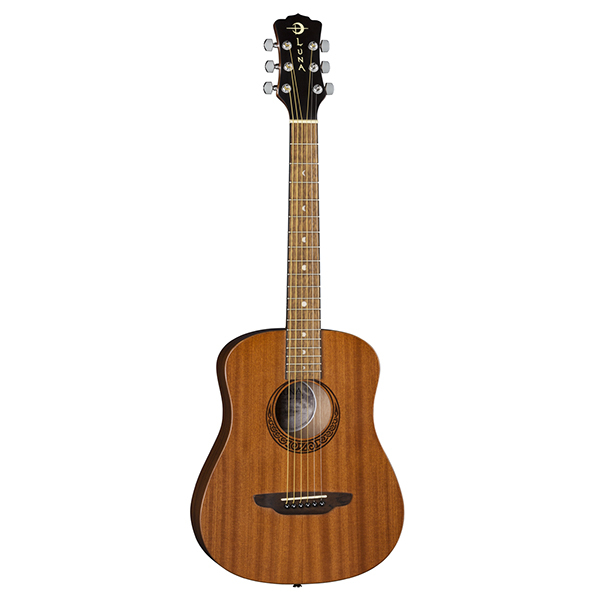 While it is a compact guitar, Luna Safari Guitars deliver full size tone and tonal voice that belie its small size. 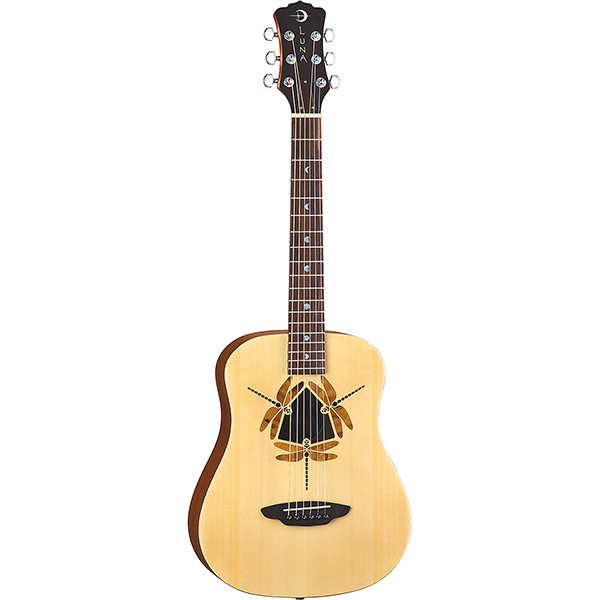 Beautifully handcrafted from bamboo, the Safari boasts quality construction to match its sound and stunning design. 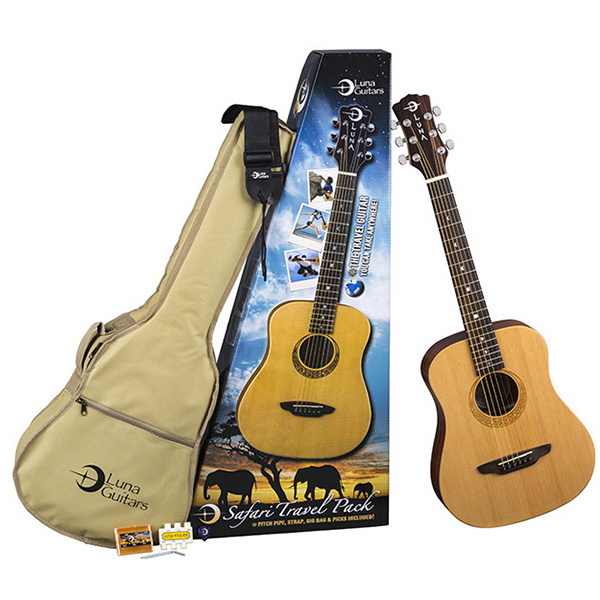 Whether you are looking for a guitar for impromptu gigs, as a student guitar or for song writing on the go, the Luna Safari Series are perfect for a variety of players and needs. 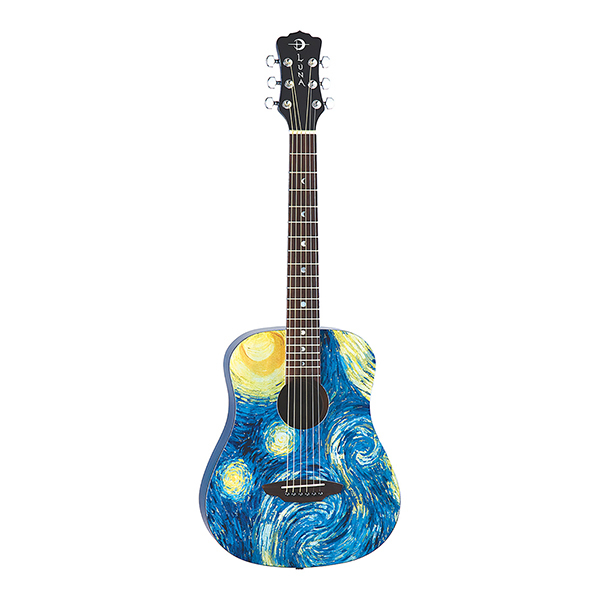 Branded travel bag included.